Congratulations to all of the 2017 graduates! 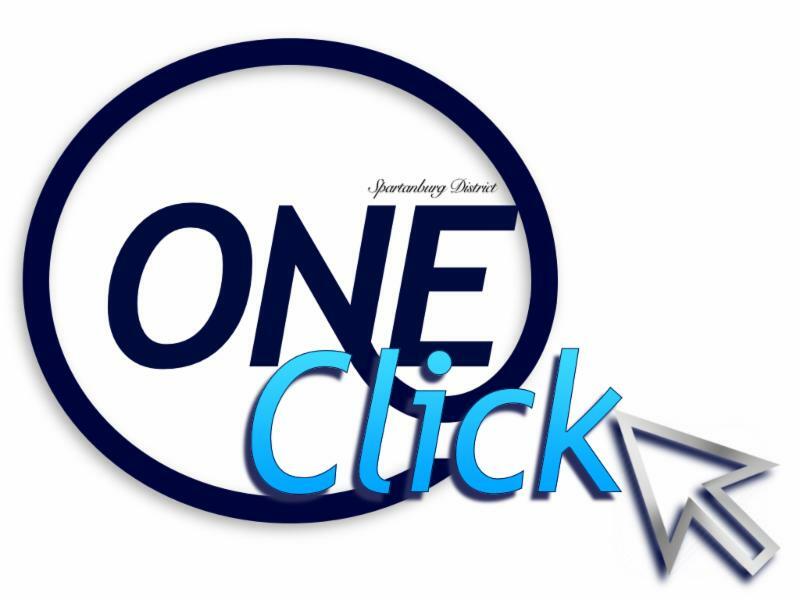 District One wishes you the best of luck in all of your future endeavors. LHS Raiders Are The Best of the Best! 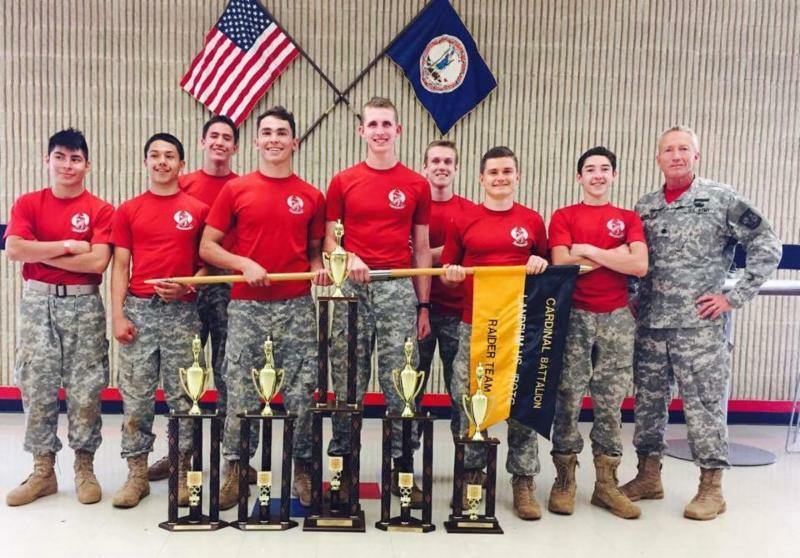 The LHS Raider team won the 2017 4th Brigade JROTC Best of the Best competition, beating out over 20 teams from across 7 states! The competition consisted of a Fitness Test, One-Rope Bridge, 5-km Road March, Litter Carry, and a Logistic Relay consisting of a HUMVEE pull, tire flip, water/ammo can carry and fireman carry. We are so very proud of the Raider team and all of their hard work to achieve such a great accomplishment! Congratulations to Elizabeth Dodd (left), Alyssa Cody, Mackenzie Greene, Isabella Seng, Trevis Jeter, and Tashaun Wallace (below) for 12 YEARS OF PERFECT ATTENDANCE! 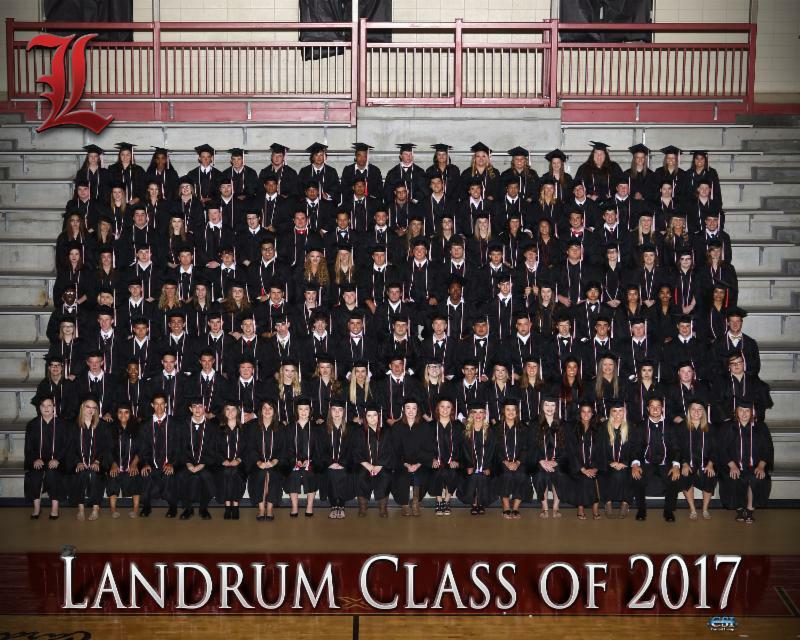 “To graduate without missing a single day of class in your 12-year academic career is a unique accomplishment that is the culmination of hard work and determination,” said State Superintendent of Education Molly Spearman. 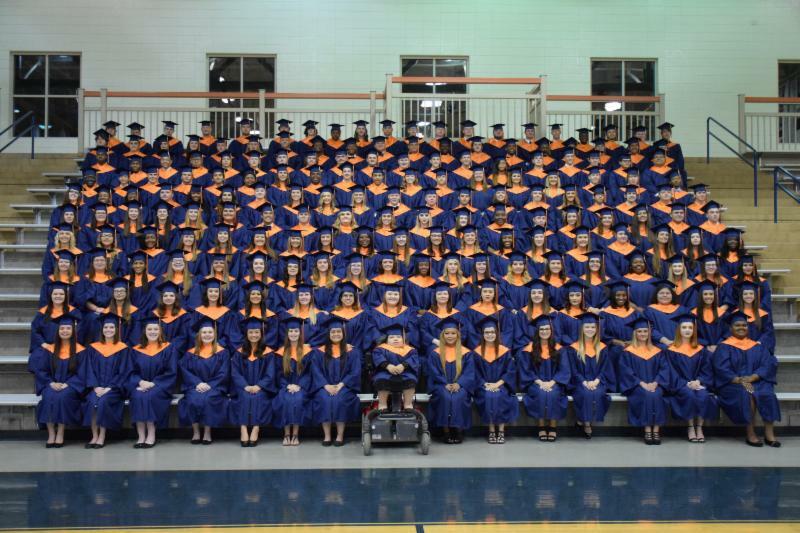 “I know these students are well prepared for the next step after high school and I congratulate them, their parents, and their teachers on this achievement,” concluded Spearman. 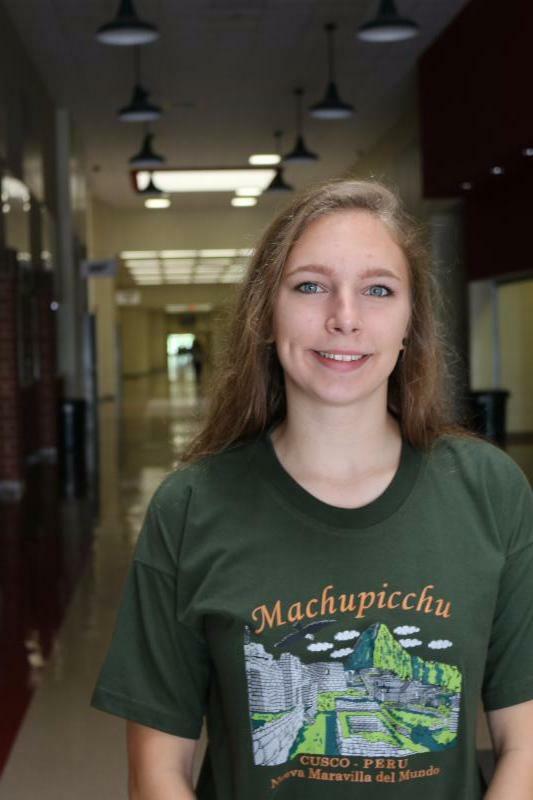 Less than 50 students from across the state will receive this special recognition and we are very proud of these students for this incredible achievement! Mr. Kendall McCarter was named the new Athletic Director of Chapman High School at a press conference Wednesday morning. Mr. McCarter will be replacing Mr. Greg Wilson, who is stepping down at the end of the school year. Over the span of the last 23 years, Mr. Kendall McCarter has served in multiple roles and has been an integral part of the Chapman High School athletic program throughout his tenure. Coach McCarter joined the District One family in 2012 as the Head JV Boys Basketball coach, Head Varsity Softball coach, and Assistant Football coach, along with teaching Physical Education. McCarter led the CHS Softball team to a Region 3 AAA championship in 2013. In 2014, he became the Assistant Varsity Boys Basketball coach and the Head Middle school football coach the following year. In addition to his coaching duties, McCarter began serving as Assistant Athletic Director for Chapman High School in 2016. McCarter has earned numerous accolades throughout his teaching and coaching career, including being named Teacher of the Year in 1998, 2003, and 2010. He was the 2008 FCA Coach of the Year at York Comprehensive High School and the 2013 Region 3 AAA Softball Coach of the Year while at Chapman. 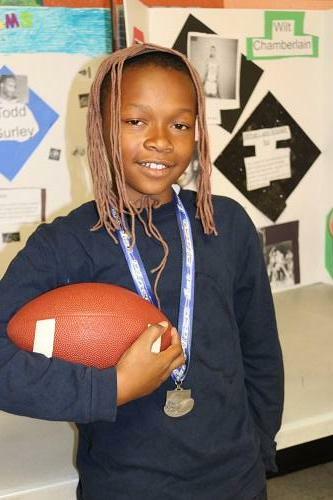 He also received the 2014 Chapman High School Above and Beyond the Call of Duty Award. 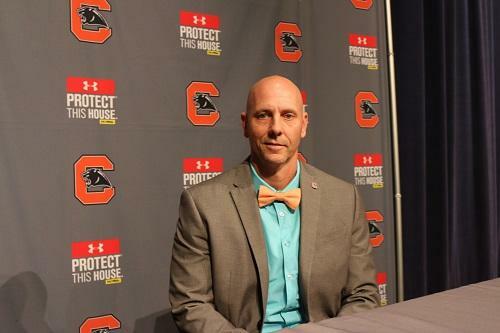 Mr. Ty Dawkins, principal at Chapman High School, says that “Coach McCarter will be an incredible asset in this leadership role and will continue the tradition of success that Coach Wilson established. I believe Kendall is uniquely qualified for this role, and we are pleased to announce him as the new athletic director here at Chapman High School." Coach McCarter is excited about this new opportunity to better serve students in District One through this administrative role. “I feel blessed to have been given this opportunity to continue to serve the students and coaches at Chapman High School and I look forward to the challenge of upholding the quality athletic programs that have been built here at Chapman,” stated Mr. McCarter. Mr. McCarter holds a BS in Physical Education from Winthrop University, a Masters of Secondary Education from Grand Canyon University, and a Masters in Coaching and Athletic Administration from Concordia University. Coach McCarter resides in Wellford with his beautiful wife Hailey, two daughters Abbi (17) and Rosie (14), and his two English Bulldogs, Hopkins and Cham. 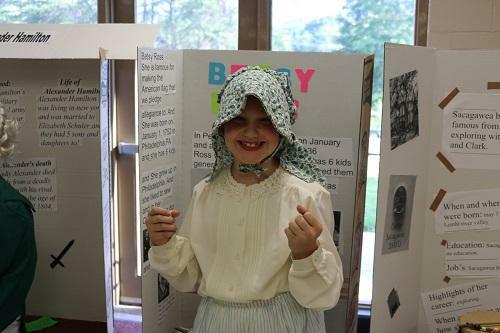 In May, 4th graders at O.P. 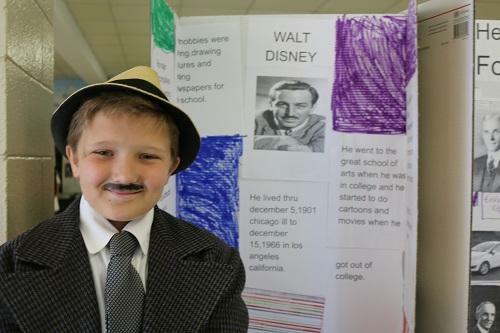 Earle Elementary held a wax museum as a fun way to showcase their end of the year research projects. 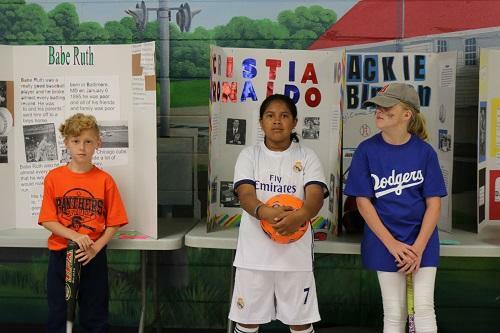 Parents and students were able to walk around the museum and press a "button" that made the wax figures come to life and share a brief biography. 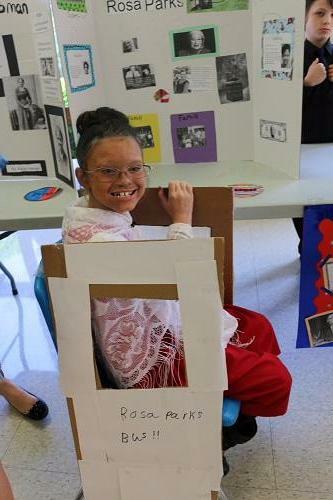 What a creative way for students to showcase their knowledge while having fun! Last month, the 2017 District One retirees were honored at the annual Retiree Banquet. 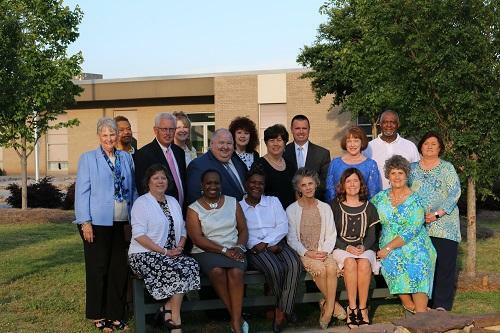 Each retiree was individually recognized for their dedication and service to the students and District One community as a whole. A luncheon was held for all past retirees to thank them for their service. 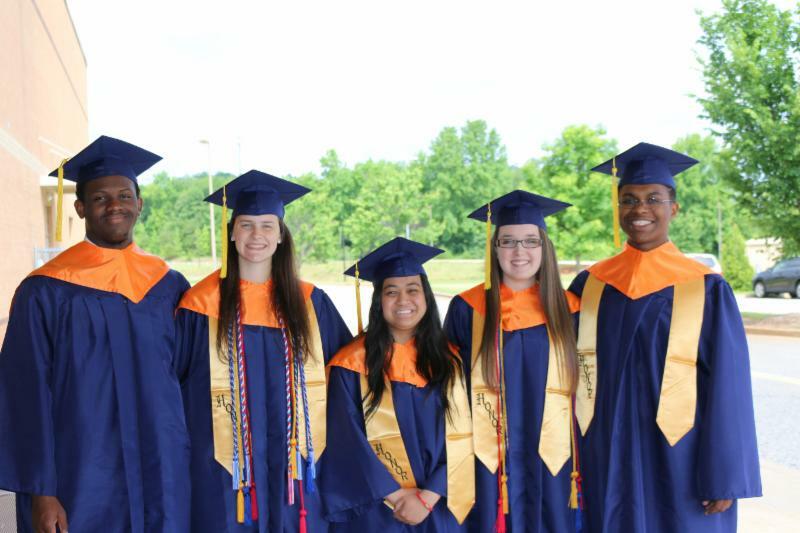 We congratulate these incredible members of the D1 family and wish them well on all of their endeavors. 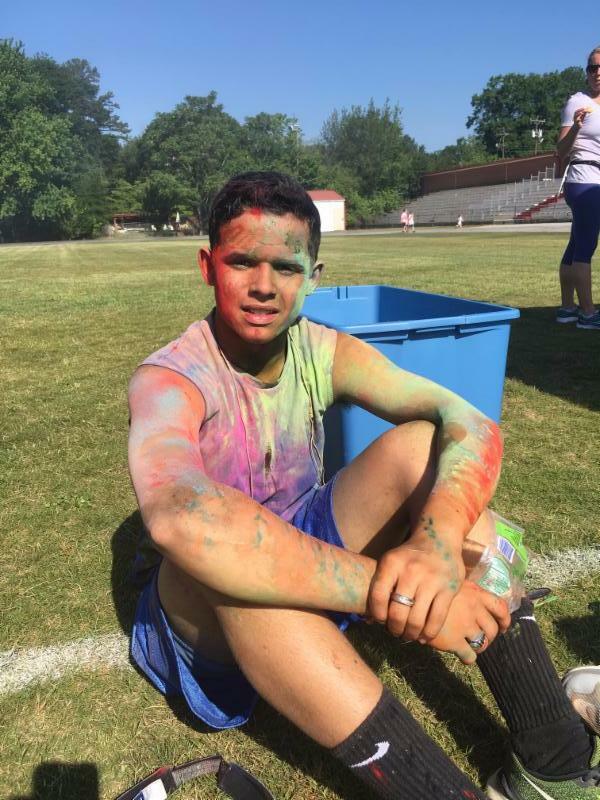 The 4th Annual Color Us One Color & Fun Run was a huge success! 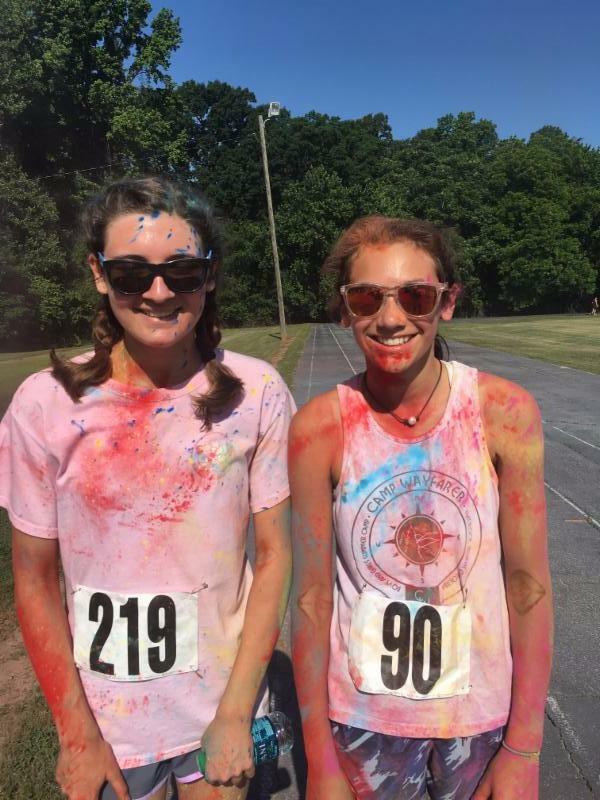 Runners of all ages enjoyed the beautiful scenery of downtown Landrum while participating in multiple runs and activities. Be sure to check out pictures from the day by clicking on the link! Julia Sullivan, a teacher at Holly Springs-Motlow Elementary School, was recently awarded an Engineering is Elementary (EiE) scholarship for the second year in a row! She will be traveling to Boston, MA this fall to attend a hands-on professional development (PD) workshop at the Museum of Science. Mrs. Sullivan was one of 49 elementary educators selected from across 21 states to attend a two-day Engineering is Elementary workshop. The application process was highly competitive, as over 450 applicants were narrowed down to just 49 impressive candidates. Applicants were asked to submit examples of STEM lessons they currently teach, share ideas for integrating engineering with other subjects, and reflect on why engineering is important for elementary students. The selection process also screened for teacher leaders who show strong potential to share what they learn through the scholarship with their colleagues. 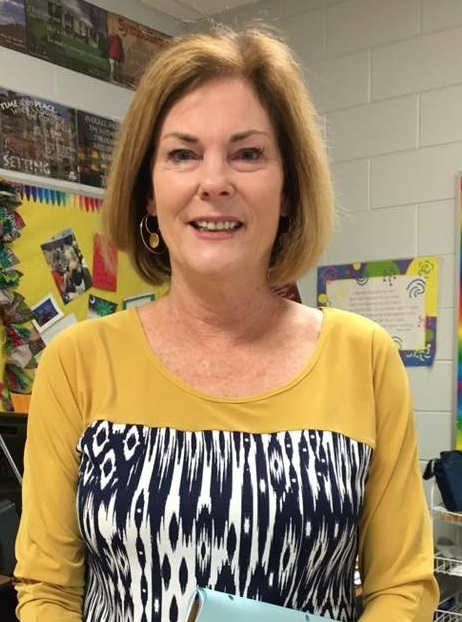 As a scholarship recipient, Mrs. Sullivan will also receive a complete set of classroom materials: EiE Teacher Guide, a class set of storybooks, and a Materials Kit.